Today marks Litemind’s second anniversary! As a way to celebrate the date, I put together a free ebook with the very best content from this website — presented with a nice layout, beautiful typography and in a convenient format suitable for onscreen reading and printing. It has been a while since I wanted to make a compilation of past articles from the site. As I was thinking about a way to mark the occasion, I decided to do it with a bit of flair and put some of my interests in typography and design to use. 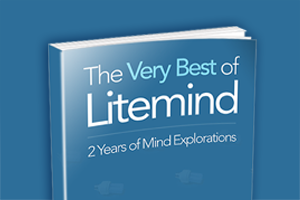 And that’s how the ebook The Very Best of Litemind — 2 Years of Mind Explorations was born. The idea of creating the ebook was straightforward: packing only the finest articles together, turning them into a single high-quality, beautifully-presented package. My goal was to give an opportunity for new readers to check out articles they might not have seen yet, and at the same time push the quality of the reading experience up for all readers. Whether you’re new to the site (Welcome!) or a regular (Thanks for staying! ), I’m sure you’re going to enjoy it. 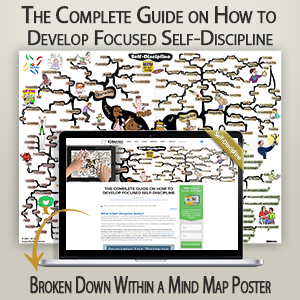 The ebook is a gift to all Litemind Newsletter subscribers. That means that the ebook should be in your inbox by now if you are already a subscriber. If you’re not, you can get instant access to it by subscribing using the form below. If you’re not familiar yet with the Litemind Newsletter, its aim is simple: to form a group of loyal Litemind readers who are passionate about the topics we discuss here and who want more than what the website offers. People who are part of this select group have, via the newsletter, access to extra content that expands on the ideas on the website. Newsletter subscribers may also participate in exclusive contests (like last year’s remarkable Personal Excellence Project), as well as receiving priority announcements and more. Of course, if you are not interested in the newsletter and the ebook, you can always browse the archives or check the list of featured posts on the sidebar. All ebook articles will continue to be available online for free (just as all the other articles published to date). Besides the obvious focus on the newsletter, in last year’s anniversary post I outlined some other general directions I would like to explore. Opening up communication channels, fostering reader engagement, featuring guest bloggers and posting regularly on Twitter (follow me!) were some of them. These goals continue pretty much the same, so for now it’s just a matter of fine-tuning what went well and adjusting what could have been better. I can also announce that there are some exciting new initiatives in the works, such as a long-overdue site redesign, new collaborative projects, as well as some nifty surprises — stay tuned! Another Year Goes By, Many More to Come! Running this website continues to be a hugely rewarding experience! I’m really looking forward to the years ahead! Thanks for these great 2 years of exciting mind explorations — it has been a privilege to have you around.